The majority of the people living in Susquehanna County are farm or labor workers experiencing the brunt of the nation’s economic crisis. Professionals at acquiring signatures, the Landmen assured them of the safety and benefits while providing seemingly easy cash in hard times. “They talk about the Pennsylvania brain drain where the kids that are educated leave,” the Dimock farmwife said. “That’s been true all along here for this community. If they didn’t stay and farm or do labor work, there wasn’t anything to offer them.” Small farmers make up the majority of people in Dimock and possess significant amounts of land to lease to the companies. To them today in post-crash America, leasing their land is their only chance to keep it. Small farming long ago losts its lucrativeness, and the declining economy has all but extinguished it. Government subsidies are designed to help small family farmers survive, yet it turns out that they do just the opposite: The small minority of very large farms in the country earn the lion’s share of government subsidies. Oftentimes, the money earned through subsidies is put toward obtaining more land and pushing out even more small farms. The small farms that do remain receive little subsidies from the government and thus cannot make a suitable living trying to compete for business with large and corporate farmers. “There’s no money now. These people own land but in order to pay taxes and to live, they’re going to have to sell off little chunks of land,” continued the wife, who sees herself in a sense as married to her family’s farm, too. Leasing land to the natural gas companies brought many of these landowners a way to keep their farms. In Pennsylvania, with the US EPA sidelined from the policy process, the state Department of Environmental Protection (DEP) was left to do the majority of the regulating with the help of other regulatory agencies like the Susquehanna River Basin Commission (SRBC), local Conservation Districts and the Department of Conservation and Natural Resources. In order for regulation to be successful, these agencies must all collaborate because resources for them are limited. Even more than this, unless the staff of the DEP was increasing proportionally to the number of wells, there was no way that each well could be monitored to the fullest extent, and that didn’t happen. An employee from the Susquehanna County Conservation District, who wished to remain anonymous, identified the limited ability of Pennsylvania’s regulatory agencies. DEP relies both on the gas companies and local citizens to report emergencies. “Suppose 10% of the public is knowledgeable (about natural gas drilling),” the local conservation official noted. “The probability that a spill or an accident will be reported as a complaint has to be much smaller than that. Typically when there’s a complaint, they find more than just that [reported problem].” Several spills had occurred in the county as of last summer despite DEP monitoring, the staffer said. “I think they [DEP] were certainly caught with their pants down,” said Montrose resident Rodrica Tilley. “They didn’t have enough people.” Almost everyone interviewed in Dimock said the same. Freda Tarbell, Community Relations Coordinator of the Northwest Regional Office of the state DEP, notes that under DEP’s Bureau of Oil and Gas Management, the state was initially divided into the northern and southern regions. The DEP had an office in Meadville to cover all of the wells in the northern region and an office in Pittsburgh to cover those in the southern region. In response to the number of wells being drilled in the north, in 2009 the DEP opened offices in Williamsport and in Scranton in 2010. In addition, DEP increased its staff by adding 37 employees in 2009 and another 68 in 2010. Freda Tarbell wrote that, “the 2009 and 2010 hiring will more than double the number of state employees regulating the gas industry.” But it comes after the fact for many in Dimock, as the state seems running to catch up with the acceleration of drilling under a new gubernatorial administration in Harrisburg that favors minimal regulation of the industry. As gas companies learned to work with the different soil and rock formations beneath Pennsylvania, setbacks emerged which became particularly apparent in Dimock Township in 2008 and 2009 in violations of regulations. The start of 2009 brought these to a head with an explosion of a water well in the front yard of a local resident. Investigation into the matter determined that natural gas was migrating from an inadequately cased gas well into the water wells of over a dozen nearby homes. The drinking water for these residents’ homes was contaminated with methane and thus potentially harmful to consume. While this incident caught the most media attention, a number of other incidents took place throughout the following year, finally leading up to DEP ordering a halt on all hydraulic fracturing by Cabot Oil and Gas in Susquehanna County. The DEP issued a consent order and agreement document on November 4th, 2009, 10 months after the well explosion, which documented over a dozen violations of Cabot Oil and Gas to laws including the Clean Streams Law, the Oil and Gas Act and the Solid Waste Management Act. At one point, the company experienced three spills within one week, one of which contaminated a nearby creek and killed a local population of fish. In response to these spills, DEP ordered Cabot to cease all hydraulic fracturing in the county until more accurate and appropriate plans for pollution control and disposal were devised. More recent violations include a well reserve pit that was improperly lined and leaking black fluid. The pit was ordered to be removed by DEP on April 30, 2010. Clearly, hydraulic fracturing is not the only process that could cause environmental problems. Since 2005, hundreds of spills have been documented by the DEP. As of June 18, 2010, the DEP has conducted 1,866 inspections resulting in 565 notices of violations. While not all of these violations are serious hazards, at least 50 of them involved a spill to soil or water. “It’s not the big spills that have the largest impact on our watersheds. The longevity of the pollution is more important than the amount of pollution,” explained a staffer at the Susquehanna County Conservation District, who wished to remain anonymous because of his position in dealing with proponents of drilling in the area. As the number of spills into the watersheds around these well pads increases, so too will the impact of the pollutants those spills have on the watersheds. It’s an additive effect. DEP has been strengthening their regulations as well as their work force in order to prevent such violations from continuing. 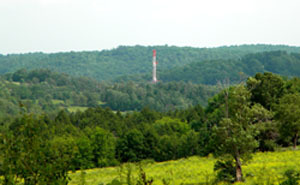 “Drilling cannot be done without any impact on the environment but its costs can be reduced,” said Tarbell of the DEP. As of last summer, “drilling companies will be required to treat fully to the safe drinking water standards Marcellus drilling water if they choose to return that water to our rivers and streams. Another rule will mandate a 150-foot buffer on the 20,000 miles of Pennsylvania’s streams that are most pristine and highest quality.” These rules will help prevent Pennsylvania’s watersheds from being polluted from either improperly treated waste water or spills from the drilling sites. However, for some these new regulations still are not strong enough.